The seventh edition of Dubai HeliShow, the biennial International Helicopter Technology and Operations Exhibition dedicated to the helicopter industry, will be held from November 6 to 8, 2018, at the Royal Pavilion, Al Maktoum International Airport. Under the patronage of HH Sheikh Mohammed Bin Rashid Al Maktoum, Vice President and Prime Minister of the UAE and Ruler of Dubai, the 2018 edition of the show will provide a unique platform for both regional and international players in the field of civil and military helicopter technology and operations to showcase their products, services and technologies for the commercial, civil defence and military helicopter sector and explore prospective partnerships. Two exclusive three day conferences – the highlight of Dubai HeliShow 2018 - titled 'Helicopter Technology and Operations' and 'Military and Homeland Security' will shed light on a vast range of topics, including how to empower police forces with Internet of Things (IoT) tools; the role of women in homeland security; application of robotics in policing and helicopter; tackling new patterns in narco-terrorism by integrating intelligence, forensics and response operations; best practices to boost joint inter-agency cooperation between armed forces and homeland security agencies among many others. The Military and Homeland Security Conference will discuss countering terrorism with specialised and strategic operations, improving long-range surveillance and remotely monitoring capabilities as well as development of superior capabilities to counter narco-terrorism with state-of-the-art technology. Additionally, a session will cover 'The Security and Critical Infrastructure Forces for EXPO 2020 and Other Global Events.' Experts from homeland security, police, customs, border guards, airports and ports, industrial security, armed forces across the land, air and sea from the Middle East and beyond will attend the session to discuss their strategies and requirements for effectively improving homeland security capabilities. 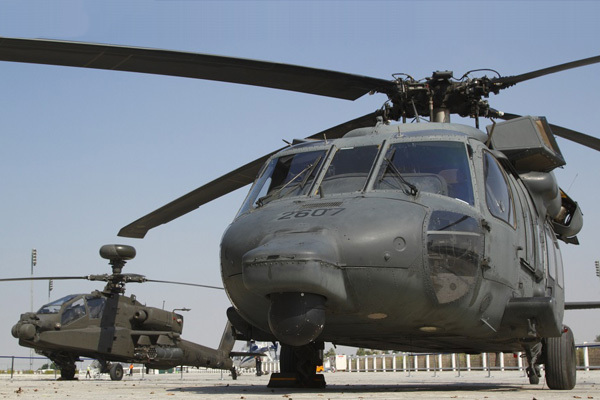 The Helicopter Technology & Operations Conference will bring together decision-makers from across the Mena region to explore new products, services and technologies covering the commercial, civil defence and military helicopter markets. Live demonstrations organized as part of the conference include a helicopter ride as part of a simulated search and rescue operation and a bomb disposal activity for all attendees. The upcoming edition of the Dubai HeliShow, with key emphasis on civil defence, commercial, military, air medical and rescue sectors, will feature key industry companies from around the world and is expected to attract a global audience. The event will also be an excellent opportunity for industry stakeholders to highlight their recent achievements and advancements and meet and interact with prospective buyers from the Middle East. The success of the previous shows reflects the growing demand for helicopter and private jet services in the UAE and the rising investments and developments in the sector. Helicopters play a significant role in the region’s emergency response services including search and rescue operations by undertaking accident surveillance on major traffic highways and by facilitating firefighting and evacuations from high-rise buildings. The introduction of helicopters in the tourism and hospitality industries also gave rise to aerial tourism in the Middle East. In addition, they play an integral role in offshore and desert real estate projects; erection of posts and masts in remote areas to generate electricity and construction of microwave towers, among others.